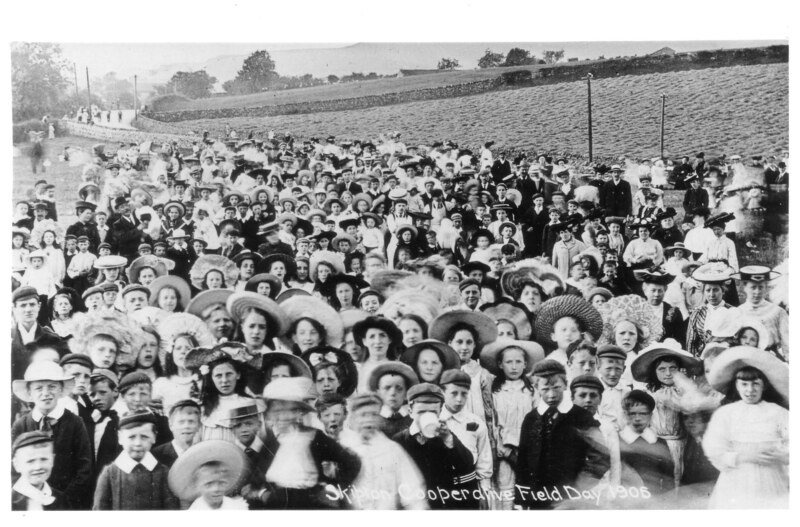 Large group, mainly children, enjoying the Skipton Cooperative Field Day, 1906. What do they mean by "Cooperative field day"? Did the Coop group own the field where the event was held or was it a Coop workers' day out? Was it for charity?